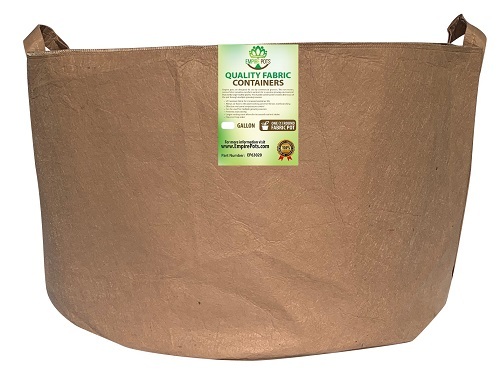 Hydrofarm's Dirt Pots are made from a porous breathable fabric that allows your plants to thrive by promoting exceptional root health and vigorous plant growth. The soft-sided construction allows the planter to conform to your terrain, making it the perfect choice for all growing areas. They have superior drainage and aeration. 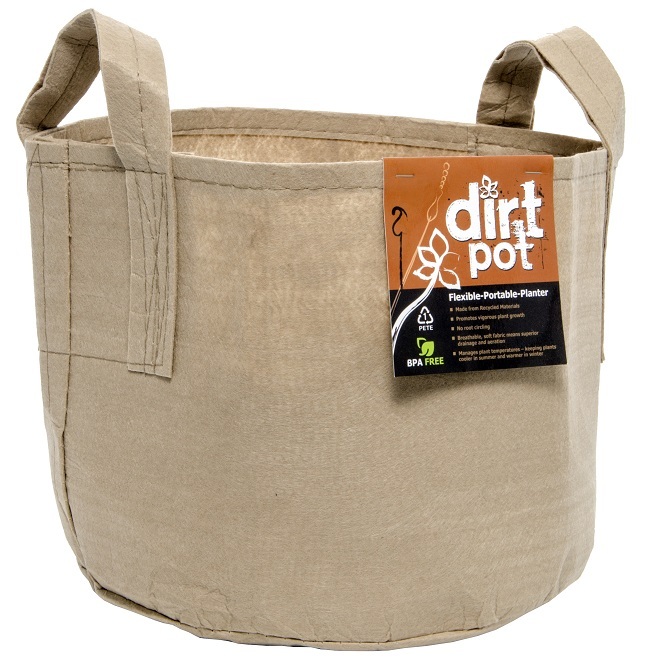 These Dirt Pots come in black and tan. 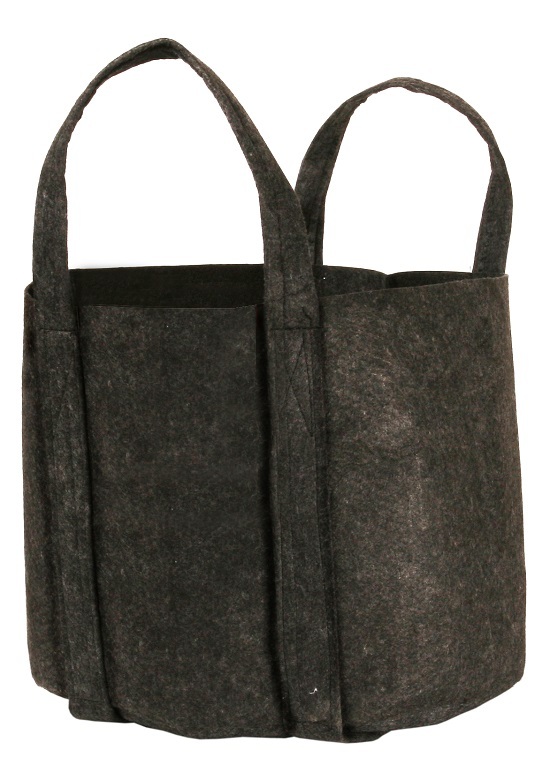 The handles provide strength, stability and convenience. They are non-degradable, so they will hold up for multiple growing seasons. The dimensions of these 65 gallon Dirt Pots are 32" Wide x 18" Tall and will hold approximately 8.4 cubic feet of soil.